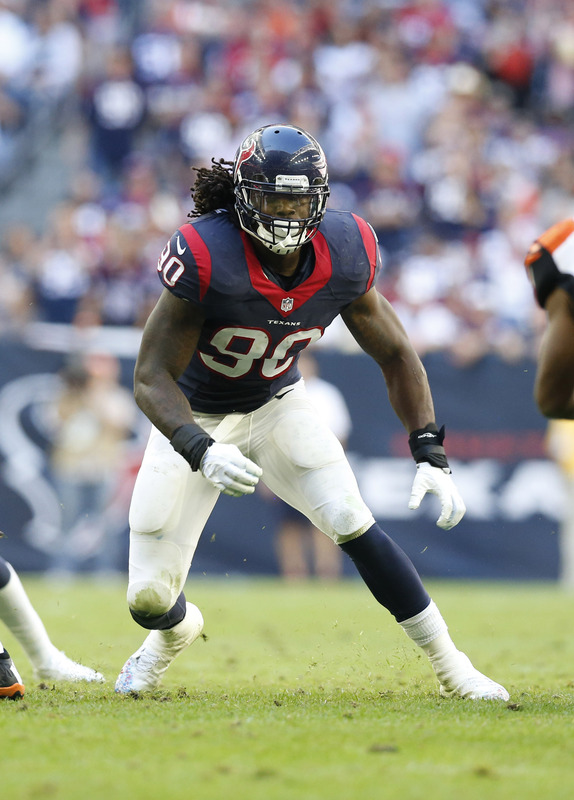 The Texans have franchise tagged outside linebacker Jadeveon Clowney, according to a team announcement. If no long-term deal is reached between now and the July extension deadline for franchised players, Clowney will be cuffed by a one-year, $15.443MM tender. The Texans used the non-exclusive tag on Clowney, Adam Schefter of ESPN.com tweets. With this designation, Clowney can shop his offer sheet around, but an unmatched offer sheet would result in the new team sending two first-round picks to the Texans as compensation. The non-exclusive version used more commonly than the exclusive tag in the NFL and only occasionally results in a trade. Last year, however, the Dolphins and Browns swung a tag-and-trade involving Jarvis Landry, though the compensation was much lower than two first-round picks. Teams have rankled players in the past by tagging them as outside linebackers rather than defensive ends, but it won’t make a huge difference for Clowney. Last year, the Texans gave Clowney an extra $1MM to settle a dispute over his fifth-year option, so the 120% rule on the tag would give him a $15.967MM salary for 2019. Therefore, the difference between Clowney’s tag and the tag he’d get as a defensive end ($17MM) is minimal. For his part, Clowney is expected to take his sweet time when it comes to signing the tender. Without a long-term deal or a signed tender, the defensive end will have the right to abstain from offseason activities, training camp, and even games. An in-season holdout would cost Clowney $900K+ for every missed game. Ain’t no way he worth Donald money. Hey X! Just want you to let everyone on the baseball site to know that WCR/Red Roosters new account is ; Padresfanaticfan !